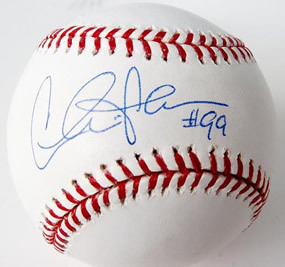 The Guaranteed Forensic Authenticators began on September 12, 2011. Founder, Stephen Rocchi, was instrumental in the history of autograph authentication and with the formation of GFA, has raised the bar again! GFA was born out of the experience and background Stephen has received from law enforcement, collectibles and as President/CEO of two major authentication companies. Stephen sought out trained Forensic experts in law enforcement /court certified examiners to properly handle documents as they are done for the FBI and the judicial system. 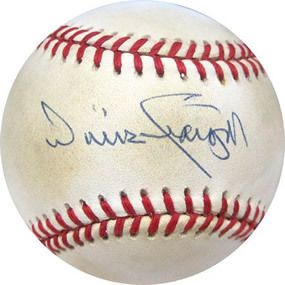 This procedure documents, proof beyond a reasonable doubt if the autograph in question is genuine and authentic. With over 100 years of law enforcement experience GFA has found a scientific process to determine if the autograph in question is genuine.You no longer get an opinion you get a determination based on scientific principles and processes. GFA Authenticators are selected from an elite group of world class forensically trained and court certified document and signature examiners. Each authenticator is experienced not only in the GFA forensic process, but also guided by an advisory board of the top document and signature examiners in the world. During examination, each signature is carefully and independently examined. GFA utilizes authentication based on forensics including ink/medium analysis, object evaluation, side by side autograph structure analysis. On bulk items GFA conducts a pedigree and chain of custody investigation. Once the forensic authentication is complete, the signature has a tamper evident hologram affixed to the item with a six digit certification number, also included is a COA with the same six digit certification number and can be verified in the GFA data base. After one final quality control evaluation the signature is ready to be returned to the marketplace where it is backed by GFA’s guarantee of authenticity. Today, signatures that have been signed in the past, signed in the presence or signed recently, deserve the respect of a thorough examination as the signer of the item intended when it was signed. An opinion based on whom submitted the item, the population of the item and an authenticator that has not been trained in the scientific approach does not give the customer the type of examination they should expect and deserve. GFA gives you a determination based on science not an opinion of a collector or dealer but a statement of fact by a trained forensic document and signature examiner.